Illinois lawmakers submitted four separate proposals Thursday for a sports betting bill, hoping they serve as conversation starters and a blueprint for legalization. Illinois lawmakers submitted four separate proposals Thursday for a sports betting bill, hoping they serve as conversation starters and a blueprint for legalization. 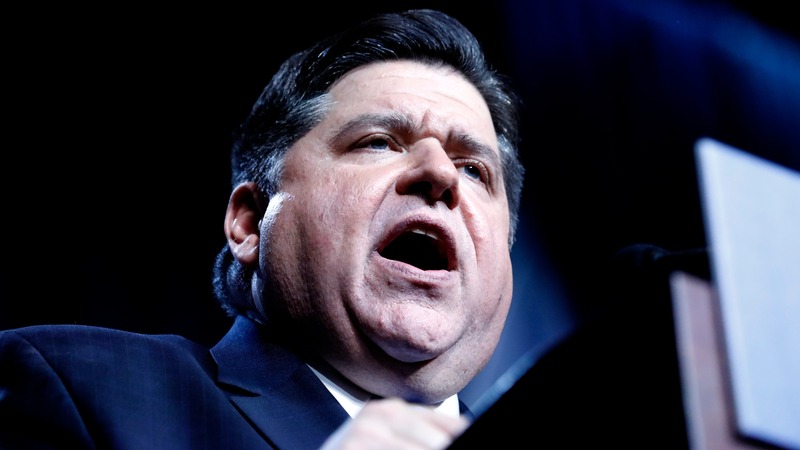 Each submission was written based on different sports wagering models -- some already in use in other states -- with the goal of finding common ground for Governor J.B. Pritzker's approval this spring. Pritzker has been campaigning for legalized sports gambling in Illinois, and would like to [add gambling revenue](https://www.betchicago.com/illinois-governor-pritzker-budget-sports-betting-revenue) to his budget this summer. The first proposal is modeled after what's currently in place in New Jersey, with 13 licenses -- 10 casinos and three racetracks -- for shops, in addition to online platforms. The state would get a 15 percent tax on gross receipts for in-person betting, and 20 percent on mobile. You can read the full bid [here](http://www.ilga.gov/legislation/101/HB/PDF/10100HB3308ham001.pdf). There's also a bill modeled after the Mississippi law, with sports betting allowed at casinos, racetracks and OTB (off-track-betting) sites as well as 10 online licenses. A portion of revenue would go to the Illinois Gaming Board. That full bill can be read [here](http://www.ilga.gov/legislation/101/HB/PDF/10100HB3308ham002.pdf). The third proposal is the Lottery model, which would give the Illinois Department of Lottery control over sports betting, with the state keeping half the revenue. That full document is [here](http://www.ilga.gov/legislation/101/HB/PDF/10100HB3308ham004.pdf). The final proposal takes care of the professional sports leagues' interest in an integrity fee. Leagues would get 0.25 percent of revenue with official league data being used for in-game betting. There would also be mobile betting. Full details are [here](http://www.ilga.gov/legislation/101/HB/PDF/10100HB3308ham002.pdf). Each of the proposals includes a $10 million licensing fee, as Pritzker has asked for. “We’ll let people react to the testimony and then go back to the drawing board to figure out what is best and start dwindling down the options," Rep. Michael Zalewski [told](https://www.legalsportsreport.com/30557/illinois-sports-betting-amendments/) Legal Sports Report.